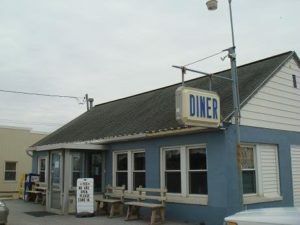 Country diner serving breakfast, lunch and dinner. Debbie and I stopped for breakfast on a Sunday morning.in Mid June 2018. Very busy for early on a Sunday. They offer seating at the old fashion dinner counter with stools and several tables. WE enjoyed eggs over easy, fresh home fries, sausage and rye toast. Quick and friendly service, great coffee.